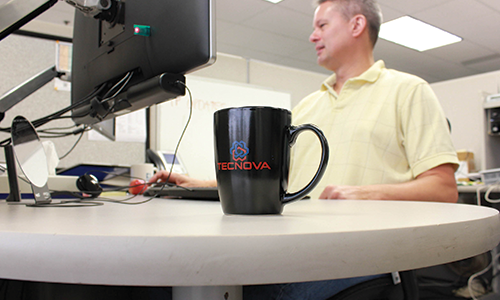 When you work with Tecnova, you instantly tap into a group of highly qualified, creative, and knowledgeable test engineering professionals. We have extensive experience developing test solutions for a broad range of industries, from small corporations up through Fortune 100 corporations. We perform due-diligence and take the time to discuss and fully understand each project opportunity from both technical and business perspectives to deliver the best solution. Senior-level engineers and developers who manage your project are certified at the Certified LabVIEW software Developer, Certified LabVIEW software Architect or Certified TestStand Developer level. No individual has less than eight years of experience in the test and measurement field using NI tools. Our most experienced architects and developers have been using LabVIEW software since the platform migrated from the Macintosh OS to Windows over 23 years ago. Team members come from diverse backgrounds and experience, bringing innovative ideas into the design process to create the best solution at the best cost / value. Safety, robustness, and long term maintenance is considered in every phase of design. Coding standards are carefully considered and implemented.